Favorite thing that happened to me at school was meeting my husband of 38 years. There were so many happy times with Diana and Tammie and of course the chorus. The trip to Nashville with the chorus was the best! 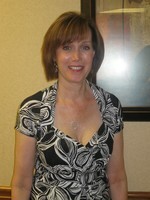 Amy Sherwood Hoke updated her profile. View. Amy Sherwood Hoke has a birthday today.